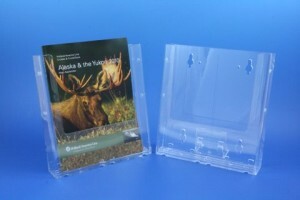 The Wall Mount Single Pocket Full-Page Brochure Holder is one of the most popular items we manufacture. 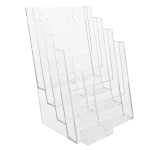 This holder is ideal for material up to 9” wide, with an extra deep pocket capacity of 1 ½”. The full page brochure holder easily adapts to any retail or service environment. We manufacture and stock the largest, most unique mounting hardware in the world! 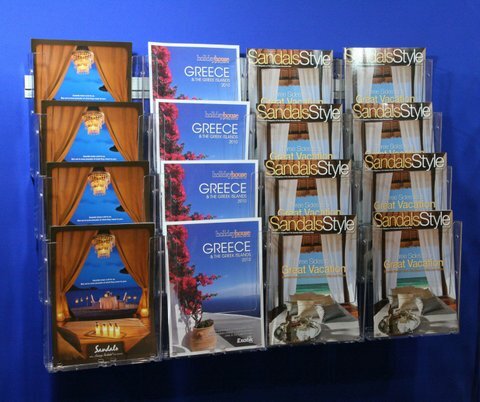 Full page leaflets and brochures. 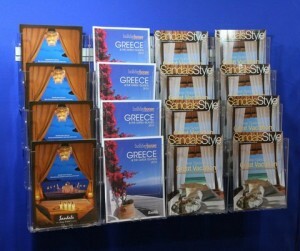 Magazines, news articles, literature up to 9” wide. Professional environments, institutions, tourism information centers, coffee shops, retail outlets, custom sign boards, real estate feature sheets.